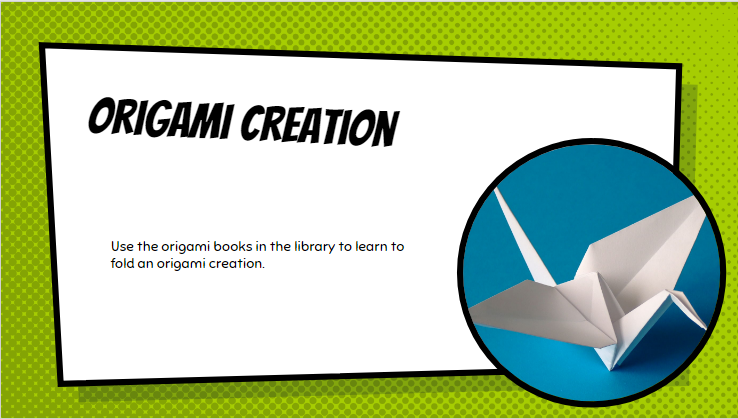 Browse through the Origami books that Mrs. Matzat has set out in The Makery. 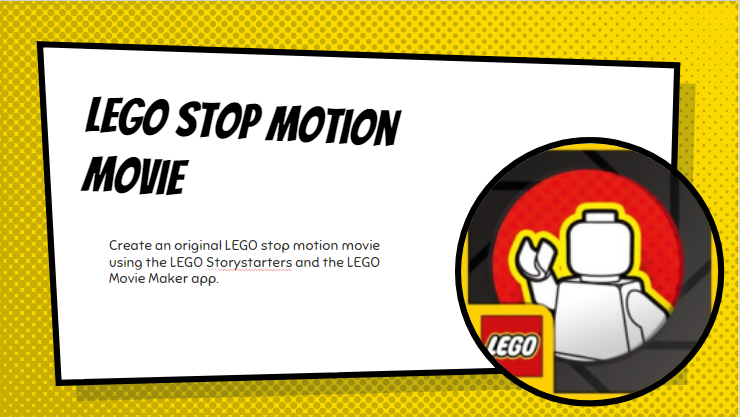 Select a design from one of the books that you want to teach yourself to fold. Once you have selected your design, ask Mrs. Matzat for a piece of origami paper to use for folding. Use the directions in the book to help you fold your origami design. Check with Mrs. Matzat to get your supplies. 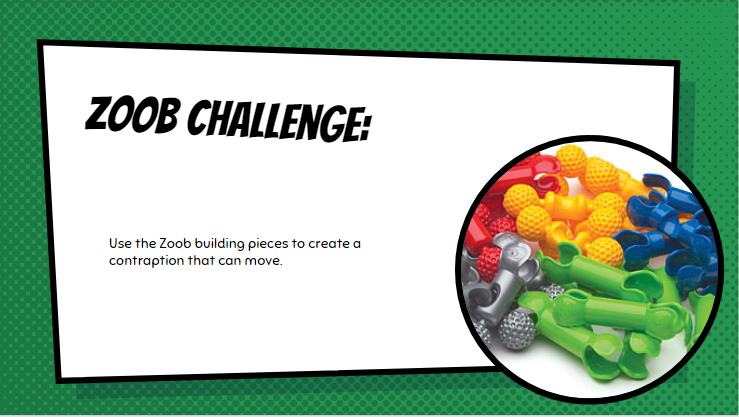 Build your contraption using the Zoob building pieces. Show your finished contraption to Mrs. Matzat. 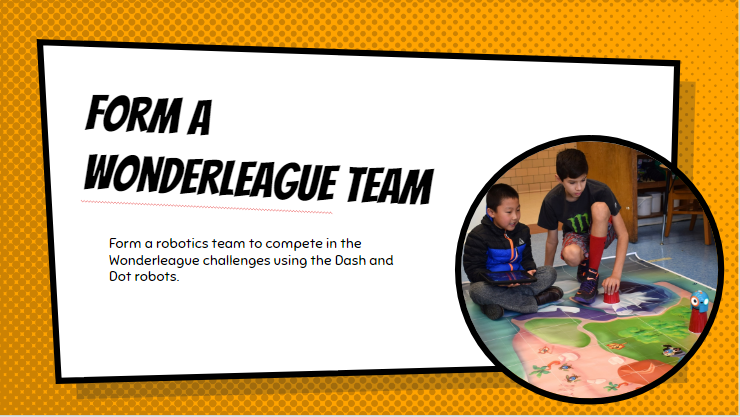 You and your partner will need to conference with Mrs. Matzat about the Wonderleague contest before starting the challenges. This will be a multi-week commitment. Get the challenge document from Mrs. Matzat. Get your robot, mat, ipad and supplies. When you finish one of the challenges, demonstrate it for Mrs. Matzat. 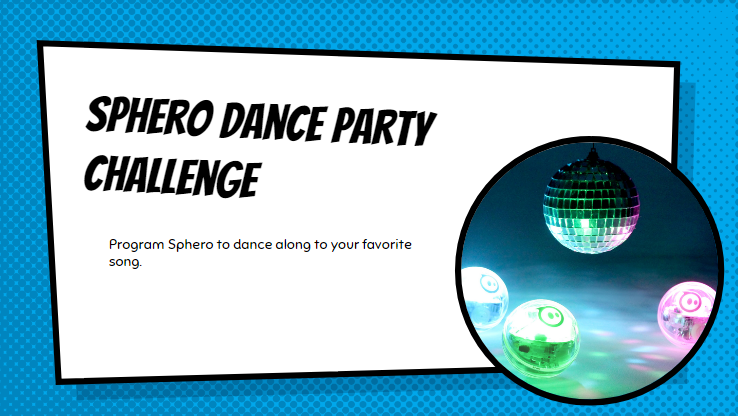 Using the Sphero Edu app, program your dance! Test it to make sure it syncs to the song. Show your finished to program to Mrs. Matzat. Watch the tutorial video to learn how the Ozobot Bit works. 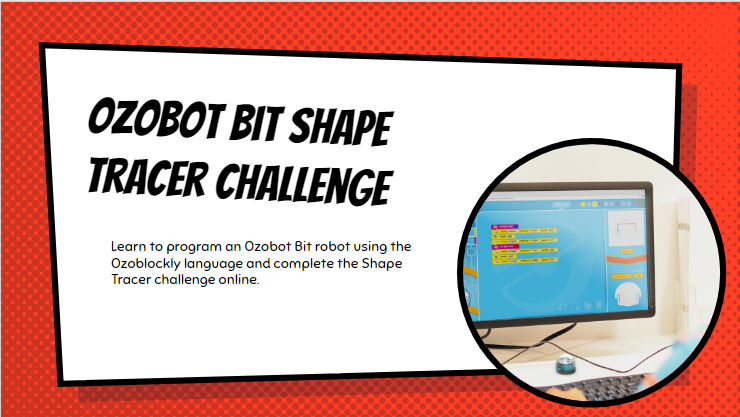 Complete the Shape Tracer activity to learn to program your Ozobot. ​Show Mrs. Matzat when you have completed all 10 levels.